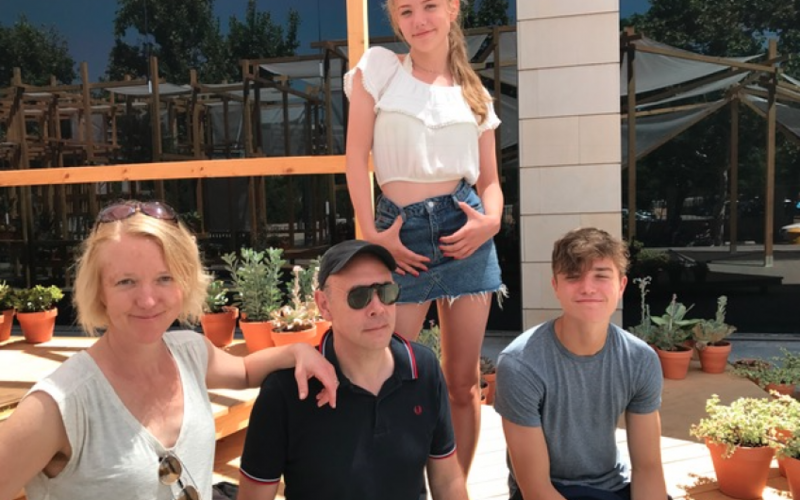 When my wife and I were young, taking our children on holiday was a doddle - but, now we’re in our fifties, it’s not quite so simple any more. It’s nothing to do with our decrepitude – like all self-respecting Oldies, we know how to enjoy ourselves. No, the problem isn’t us – it’s them. When my son and daughter were small, holidays were non-negotiable. We simply strapped them into the back of the car and went anywhere we wanted to. Any journey was an adventure – they were absurdly easy to please. Yet now they’re both teenagers, they’re far more fussy (I blame the internet). They want beach holidays and city breaks; they want sunshine and sophistication. And since our budget only stretches to one foreign trip a year, this summer we tried to do it all and bought four cheap flights to Valencia. I’d been to Valencia once before, ten years ago, and I loved it. It’s as historic as Barcelona, but a lot less hectic. It’s not overrun with tourists and the beach is a cab ride away. We booked an apartment in a city block in the heart of the old town, but it was when we hit the streets that our troubles began. It’s taken me a dozen family holidays to work out what I should have worked out years ago, but I’ve finally come to the conclusion that our children don’t do sightseeing – at least, not in the same way we Oldies do. I want to see the historic sites – they want to take selfies in trendy shops and cafes. I’ve got my nose stuck in a guidebook - they’re glued to their smartphones. As always, this kulturkampf reached its climax in the modern art museum. My children goaded me superbly with their faux reactionary opinions: ‘What’s the point of that? Anyone could do that!’ Naturally, I took the bait. But then an odd thing happened – I began to see their point of view. Is trekking round dusty monuments really the best way to spend a holiday? Or is it actually just a monumental waste of time? Belatedly, I realised I only have a few more holidays with my son and daughter. Once they’ve fled, my wife and I can traipse around as many ancient relics as we choose. For the remainder of the holiday, I did my best to meet my children half way. We hired bicycles and rode for miles through lush, green parkland. We went swimming in the lido, where the local teenagers hang out. To my surprise, I had a lot more fun than if I’d been trekking round a gallery. This was far more self-improving than ticking off all the old architectural landmarks. Doing things your children like to do on holiday is really good for you. It opens up parts of your personality that have been shut away for years. You probably know all this already, but for me it was a revelation. I apologised profusely to my children for being such a boring, stuck-up dad. And I made them promise to let me go on holiday with them again next year.